Within a visit framework in Ho Chi Minh City, Mayor of China's Chengdu Mr. Luo Qiang had a meeting with Chairman of the Ho Chi Minh City People’s Committee Nguyen Thanh Phong on December 11. At the reception, the city leader said that China is among the five largest international markets of Ho Chi Minh City. The opening of a direct flight route between Ho Chi Minh City and Chengdu in 2019 is expected to create favorable condition in trade, investment and tourist promotion between the two countries. The Mayor of Chengdu thanked for the city's warm welcoming and shared that Chengdu has currently launched good trade and tourist cooperation with Vietnam. 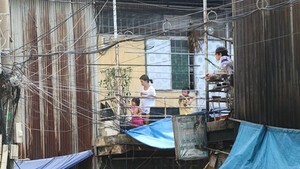 If a direct flight route connecting Chengdu and Ho Chi Minh City opens, the city is expected to receive a huge amount of Chinese visitors. 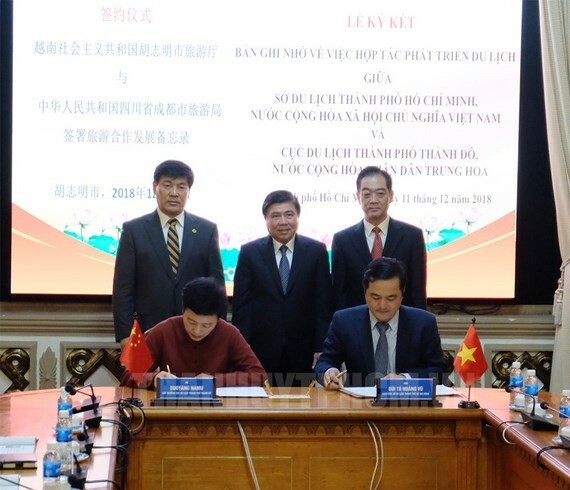 After the meeting, the two sides witnessed a signing ceremony of tourist development cooperation between the Ho Chi Minh City Department of Tourism and Chengdu Tourism Bureau.